I purchased my first recordable storybook as a Christmas present for my daughter. It was “Frosty the Snowman”. She loved it! Would take the book, sit on the floor in her room, and listen to it over and over again. 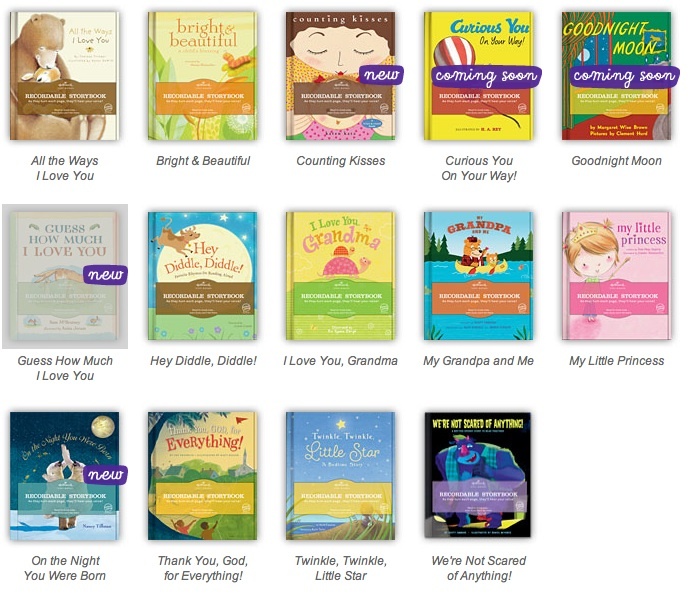 Today, I was on the Hallmark website, and saw they have a ton of fabulous recordable story books! Karen Katz “Counting Kisses”. We LOVE Karen Katz books in this house! “My Little Princess”, perfect for our little princess. “Guess How Much I Love You” and “Goodnight Moon”, classics that melt my heart every time I read them. Just thought I’d share some of the books is major rotation in our house. Happily, I enjoy most of them (the ones I really loathe seem to magically disappear). I know, I know…there’s only, what 3 days until Christmas and you’re probably done done done with gifts for your kids. I thought I was too. But, can never resist the call of something cute. If you need a few more things, books are always a great idea. I love sitting and reading to my daughter each day before nap time. And, if this list is too late for this year, consider it an early Christmas gift for next year! Lovers of Eric Carle’s classicThe Very Hungry Caterpillarwill recognize the same iconic collage illustrations in this wintry tale about a farmer who dreams about a white Christmas. LikeCaterpillar, the pages hold extra interest for young readers, with cutouts and counting. To continue with the list, click HERE. We all know/hear/read how books are important to our children. Especially picture books for our little ones. With the pressure of “being the best” and reaching milestones early placed on parents for their kids, it seems picture books are fading in popularity. The Children’s Book Review takes a close look at the importance of picture books on the development of children. It’s not a new issue, but it was recently brought back to the forefront by the NY Times Article, “Picture Books No Longer a Staple for Children.” The article sadly reports that “The picture book, a mainstay of children’s literature with its lavish illustrations, cheerful colors and large print wrapped in a glossy jacket, has been fading.” Although the article reports that staples from Maurice Sendak and Dr. Seuss still sell, publishers have scaled back the number of titles. Citing the economic downturn as a major factor, the article points out that many in the industry see an additional reason—parents. So why are picture books important? 10. Chapter books are not necessarily more complex than picture books and in fact, their vocabulary and sentence structure can be considered simplistic when compared with older level picture books. Many picture books are written at a higher reading level, use amazingly complex vocabularies and offer interesting plots. 9. The illustrations of a picture book help children understand what they are reading and allow young readers to analyze the story. When children are having difficulty, the illustrations can help them figure out the meaning of what they are reading. The illustrations are also a powerful way to help English learners comprehend the story. 8. Children love art. Why do you think they spend so much time coloring, drawing and doing crafts? Whatever the reason children are drawn towards a book, it’s a means to get them to read. 7. 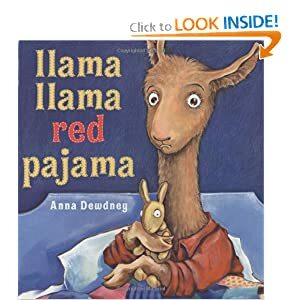 Language: Picture books allow children to practice the sounds of language and as parents it’s our responsibility to introduce new and interesting words at every opportunity. The rhythm and rhyme in many picture books make for great read-alouds and children learn words more easily when they hear them spoken often. 6. Repetition: The repetition in many picture books allows a child to participate in the story. Young readers get excited when they can anticipate a forthcoming line and children learn skills like phonemic awareness, phonics, comprehension and fluency. 5. Picture books are multi-sensory, which aids a child’s growing mind and stimulates their imagination. Not only do the children hear the story, they see the illustrations, and smell and touch the pages. In first grade children are learning how to read. It’s exciting to watch kids be able to decode simple books on their own and become confident in their reading skills. But because first graders are just beginning to learn how to read, they can only read a limited number of simple texts. Reading is very labor intensive for first graders and they may not to be able to truly enjoy the stories they read. Reading aloud to your child is especially important during these years when independent reading may seem like so much work. By reading aloud, you are encouraging a love of reading while getting a chance to practice reading comprehension skills. The Kissing Hand by Audrey Penn. This incredibly cute book is about a young raccoon going off to school for the first time. In an attempt to ward off homesickness, his mother gives him a kiss in his hand to keep with him at school. This book is great to read to first graders who are feeling uneasy about becoming more independent and/or dealing with separation anxiety. Chrysanthemum by Kevin Henkes. This book is about a girl with a long, unusual name who gets teased by her classmates. 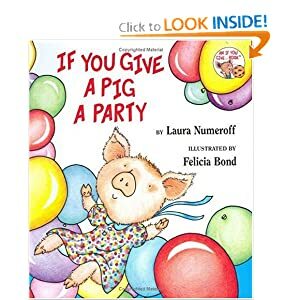 This is a wonderful book to read to first graders to help reinforce expectations about being kind and compassionate. The Incredible Book-Eating Boy by Oliver Jeffers. This book about a boy who eats books and becomes unusually smart encourages kids to love reading in a fun, silly way. First graders find this book hilarious and love laughing at the absurdity of a boy who eats books. Reading Makes You Feel Good by Todd Parr. This is another great book that encourages a love of reading. Kids often get excited about reading when they are reminded of whypeople read. The Incredible Book Eating Boy teaches kids that people read to learn, while this book points out that reading is enjoyable—both great lessons for first graders. Ish by Peter H. Reynolds. This book about a young boy, Ramon, who can’t draw perfectly encourages first graders not to strive for perfection. When Ramon tries to draw a vase and is disappointed that it doesn’t look exactly like a vase, his sister calls his picture “vase-ish.” First graders can often have strong perfectionist tendencies; this book helps kids to try their best and accept their work as it is. Today I Feel Silly by Jamie Lee Curtis. First graders go through a roller coaster of emotions and often have difficulty naming the emotions they feel. This book helps kids identify how they are feeling and helps develop empathy with others. Sometimes I’m Bombaloo by Rachel Vail. This is another great book to guide discussions about moods and feelings. In this book, a girl gets “bombaloo” (extremely mad). Through this book, first graders learn that it’s okay to get mad and okay to express this anger inappropriate ways. This book can be a great vehicle for talking about appropriate and inappropriate ways of expressing anger. The Sneetches and Other Stories by Dr. Seuss. This Dr. Seuss classic is a good story to use for introducing concepts of diversity. In this story, the Star-Belly Sneetches and Plan-Belly Sneetches teach kids that judgments based only on how someone looks are unjust. I Like Myself by Karen Beaumont. 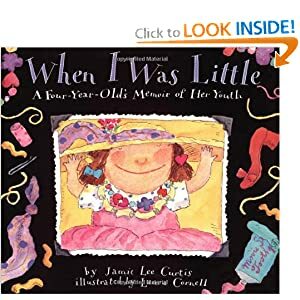 This is a fabulous book for helping first graders build self-confidence and realize they don’t have to be perfect to be confident. Complete with great illustrations and humor, this book is a feel good hit with first graders! Olivia by Ian Falconer. Olivia is an energetic, quirky pig who likes art and having fun. 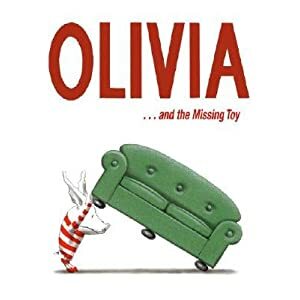 Kids immediately identify with Olivia, who loves to have fun and often gets into trouble. Olivia also has two brothers and deals with sibling issues that many kids can relate to. Plus, she’s just too cute to resist! Explore your library. Visit your local library to check out books and magazines that your kids haven’t seen before. Many libraries have summer reading programs, book clubs, and reading contests for even the youngest borrowers. With a new library card, a child will feel extra grown-up checking out books. Read on the road. Going on a long car trip? Make sure the back seat is stocked with favorite reads. When you’re not at the wheel, read the books aloud. Get some audiobooks (many libraries have large selections) and listen to them together during drive time. Make your own books. Pick one of your family’s favorite parts of summer — whether it’s baseball, ice cream, or the pool — and have your child draw pictures of it or cut out pictures from magazines and catalogs. Paste the pictures onto paper to make a booklet and write text for it. When you’re done, read the book together. Reread it whenever you need to fend off the cold-weather blahs! Keep in touch. Kids don’t have to go away to write about summer vacation. Even if your family stays home, they can send postcards to tell friends and relatives about their adventures. Ask a relative to be your child’s pen pal and encourage them to write each week. Keep up the reading rituals. Even if everything else changes during the summer, keep up the reading routines around your house. Read with your kids every day — whether it’s just before bedtime or under a shady tree on a lazy afternoon. 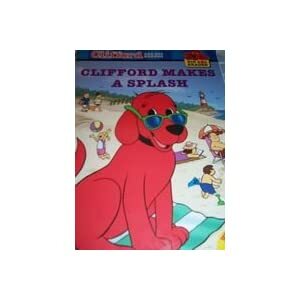 And don’t forget to take a book to the beach! Just brush the sand off the pages — it’s no sweat!